Simon and Tas had started Shift-O-Matic Transmissions over 30 years ago, Simon is an A Grade Mechanic and an auto transmission specialist and Tas is an A Grade Mechanic. With a progression and changes Shift-O-Matic has recently changed their trading name to Richmond Garage as the business had transformed into a service centre. New name with the same old fashioned service. 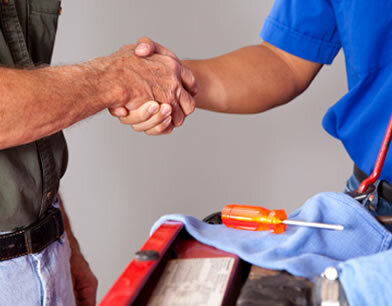 Shift-O-Matic only employs fully qualified technicians so you can be sure that your car is getting the best treatment. We pride our selves on giving our service clients personalised service. We have serviced everything from a Holden Commodore to a Rolls Royce, our mechanics are fully qualified and we have all the tooling and computers necessary to evaluate your cars mechanical issues if any. We will always give you a quote prior to commencing any work on your vehicle. 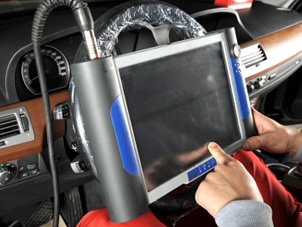 We provide logbook servicing for all makes at a lot lessor cost to you than the franchise dealerships. You can now allow Shift – O – Matic to service to maintain your car with out voiding your new car warranty for LESS. Who Is Shift -O -Matic? Our mission has always been to provide a great customer service and top class workmanship. We offer value for money servicing and we also provide logbook service which will beat any dealership price and quality.